While the news of four out of the five highest-paid execs in the US being from Apple isn't entirely surprising, it's hard not to marvel at their collective success. Which leads to the question, "Who are these gazillionaires? And what does it look like when you blend all of their faces together?" We're so glad you asked. 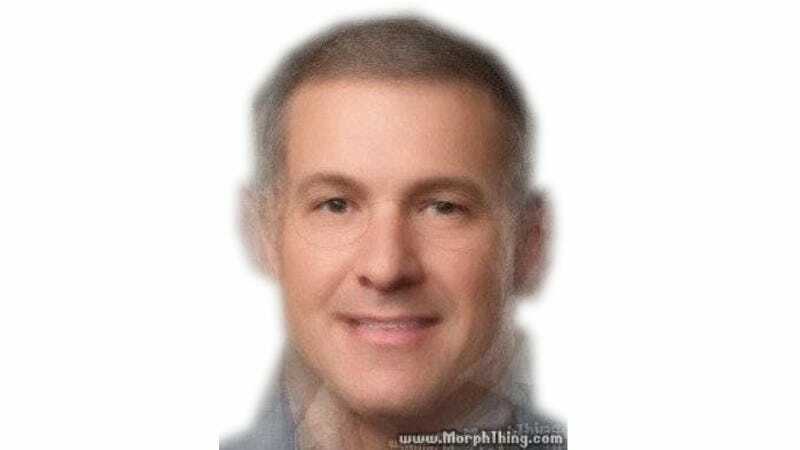 Please meet the Platonic ideal of an Apple exec or: what happens when you morph together the faces of 10 obscenely wealthy white men. Eerily fulfilling every preconceived notion we never knew we had, this high-earning world beater is in his early to mid 50s, nets between $60-$80 million a year, and has kind eyes. But what really makes this image so discomforting is the fact that, after combining the facial features of 10 distinct sets of genetic pairings, we get something that... kind of just looks like Jony Ive. Of course, this could mean any number of things, namely that wealthy, middle-aged white men have a tendency to look alike. But it's best not to think about it too much, and future Apple exec hopefuls: your standard has been set.